Your countertops are not merely what you perceive them to be. They are way more important than that. A countertop for your kitchen is the one thing that catches your attention when you enter the kitchen. It is the one thing that gives an ambience to the otherwise mundane scenario. Countertops occupy the maximum space in kitchens and bathrooms and like places and hence become an integral part of the way your kitchen or the concerned area will look. To be precise your choice of the countertop material is not just important to the one who would be doing the cooking, rather it is important to your very home and its decor. Having known the difference that a countertop can make in the way your home looks, you will definitely want to make the right decision when it comes to the choice of the solid surface that you would be using in your home. And after all if the solid surface is so important, why not go for something like acrylic solid surface that is out of the ordinary and hence has a fresh appeal to it. You will love having an acrylic solid surface for the sheer varieties they come in and the aura of style that they create. To sum it up, in your lookout for the perfect elite setting to your home, you will eventually find that acrylic is your ultimate answer. This is more so because acrylic is a substance that can be molded into a variety of colors and styles thus creating an array of colors and designs to choose from. In addition to the variety, an acrylic solid surface is the best in case you are on the lookout for extended durability. Acrylic is often termed as the optimum mixture of style and strength. In getting an acrylic surface, you make sure that your countertops are going to be resistant to most damage and wear and tear. Acrylic also has the additional quality that it is quite easy to maintain, that is to say that if you have a kitchen countertop that is made of acrylic, all that you will have to do at the end of the day for cleaning up is to wipe the thing with a piece of moist cloth and your countertop would not only appear clean but as good as new. This helps maintain the surface easily and preserves the fresh look for longer. Acrylic solid surface is a new class of solid surface wherein even though acrylic as a substance has been in use, the same in the form of solid surface has been little heard of. Most of the contemporary homes are going for a blend of acrylic products as countertops and solid surfaces in order to optimize their budget and go for a better choice at the same time. The prices of acrylic solid surfaces are quite competitive meaning that fall in a price band that is quite similar to the price band for other similar options. All in all acrylic solid surface makes excellent countertops that are a combination package of features and options. 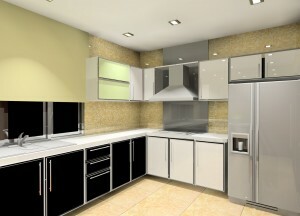 You can actually get an acrylicsurface for your kitchen and see the difference it makes in your home decor.